We appreciate your choice. Holiday package Kerala starts right from your arrival to Cochin airport or railway station. Our representative meets you and assists you to transfer you to by surface to Munnar (140 Kms / 04 Hrs). On your journey to Munnar you will be mesmerized by the beauty the state holds and you will come to know why Kerala is also called Evergreen Paradise on Earth. On arrival at Munnar check in at hotel, freshen up and enjoy the welcome drink. Munnar is also the dream destination of couples who come here for a honeymoon in Kerala. Later in the evening enjoy the delicious and mouthwatering dinner and cozy overnight at the decor room offering you commanding view of the natural vistas. Have the morning breakfast at the hotel enjoying the scenic beauty of nature away from the maddening crowds. Later we go on for a sightseeing tour of Munnar where today we will see Mattupetty Lake and Dam, Echo Point, Kundale Lake, Rajmalai Wildlife Sanctuary, Eravikulam National Park ( home to rare mountain goat or Nilgiri Thar), well organized tea gardens, etc. Later return back on time to the hotel for dinner and overnight stay. After early morning breakfast at the hotel, check out and drive to Thekkady (120 Kms/ 4 Hrs). Throughout the journey you will enjoy the scenic beauty of nature, occasional waterfalls, streams and the lush green surrounding. On arrival at Thekkady check into the hotel, freshen up and enjoy welcome drink. In the afternoon enjoy the appealing view of the calm and crystal clear Periyar Lake (Optional). Here you will see varied species of birds and animals making an astonishing move while monkeys show their tricks to grab your attention. Dinner and overnight stay will be at the hotel in Thekkady. Enjoy the early morning breakfast at the hotel and drive to Alleppey (145 km 4 hrs). Alleppey is well known for its scenic backwater destination and amazing beauty of nature. On arrival check in at houseboat at 1230 hrs and enjoy leisure time viewing the appealing vistas of the surrounding as houseboat passes through the paddy fields and scenic village. 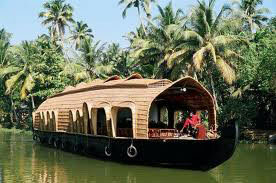 Houseboat is one of the prime attractions and is the star destination of almost all the holiday package Kerala. In the evening enjoy the sun-set and the magical color that is added by the golden slumbers as sun bids good evening and good night to all of us. You will also see fishes wagging their tail and jumping out of the water just to say you hello. Truly this heavenly experience will dazzle in front of your eyes throughout your life and you love to treasure it to relish in forever. Lunch, Evening Tea/Coffee with snacks, dinner and overnight stay will be on the houseboat. Enjoy the morning breakfast on houseboat amidst the scenic surrounding and away from the maddening crowd. Later we transfer you on time to Cochin airport or railway station (100 km/ 2hrs) for yours onwards journey or way back home. 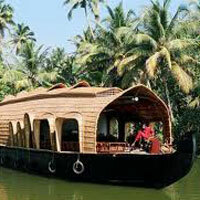 Here your memorable Kerala holiday package ends offering you some remarkable memories to relish in forever. More of all throughout your journey you are in the blissful ambiance of nature and in the God’s Own Country - Kerala.